UMC has been bathed in the Feelgood factor recently, gearing up for today’s launch of a new Best Of compilation from Wilko Johnson, on the suitably legendary Chess label. I Keep It To Myself draws together 25 tracks from Wilko’s incredible catalogue, all recorded (or re-recorded) between 2008 and 2012, with backing provided by a couple of bona fide Blockheads, Norman Watt-Roy (bass) and Dylan How (drums). Both also performed on Wilko’s acclaimed collaboration with Roger Daltrey, Going Back Home (2014, also on Chess). It includes early Feelgood classics such as She Does It Right, Roxette and Twenty Yards Behind, as well as dynamic later material including Turned 21, Barbed Wire Blues and Down By The Waterside. 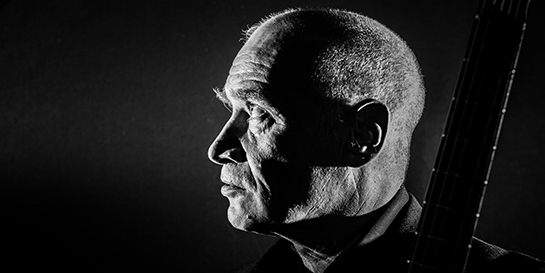 Pre-punk pioneer and world renowned guitar anti-hero, Wilko is one of the undoubted greats of British music from the last 50 years. As co-founder and chief songwriter of Canvey Island’s very own Dr Feelgood, he influenced the earliest and best punk bands on both sides of the Atlantic, with his distinctive choppy riffs and razor sharp solos, as well as his twitchy, mesmerising stage presence of perpetual motion. Media reaction to the album has been phenomenal, with a wealth of reviews and coverage across the board, plus a six page special in Q, the ‘My First Love’ slot in the Guardian and airplay on Radio 6 and 2. UMC marketing manager Greg Snowdon says: “The response has been fantastic, way more than you’d normally expect for a ‘Best Of’. That’s partly because it’s a great record, of course, but also because it’s Wilko, and people want to talk to him. There’s such great affection and respect for him. It’s the same internally – there’s a feeling that we want to show respect, do a great job and hopefully carry on working together. “Some artists can be a bit apathetic about a Best Of, but Wilko and his team have been really great, up for anything. We emailed them a list of ideas and suggestions, which we would normally do – and normally we’d get yes, no, no, yes, maybe. With Wilko it was, Great, let’s do it all. As well as the mainstream media coverage, Wilko took part in a live Facebook Q&A and took over several blues-flavoured curated playlists. A D2C signed CD offer, meanwhile, generated a fanatical response, with 200 copies flying out the door. Wilko will be touring in support of the I Keep It To Myself in April.